This paper reviews the prevalence of legal and illegal stimulants in relation to doping-control analysis. Stimulants are among the oldest classes of doping agents, having been used since ancient times. Despite the ease with which they can be detected and the availability of sensitive detection methods, stimulants are still popular among athletes. Indeed, they remain one of the top three most popular classes of prohibited substances. Because the list of legal and illegal stimulants is extensive only a selection is discussed in detail. The compounds selected are caffeine, ephedrines, amphetamine and related compounds, methylphenidate, cocaine, strychnine, modafinil, adrafinil, 4-methyl-2-hexaneamine, and sibutramine. These compounds are mainly prevalent in sport or are of therapeutic importance. Because stimulants are the oldest doping class the first detection methods were for this group. Several early detection techniques including GC–NPD, GC–ECD, and TLC are highlighted. The more novel detection techniques GC–MS and LC–MS are also discussed in detail. In particular, the last technique has been shown to enable successful detection of stimulants difficult to detect by GC–MS or for stimulants previously undetectable. Because stimulants are also regularly detected in nutritional (food) supplements a section on this topic is also included. 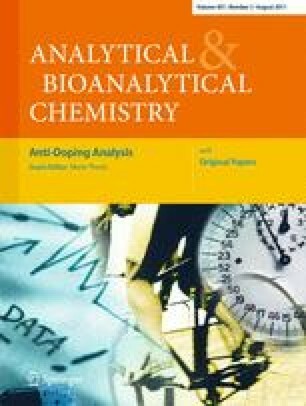 Published in the special issue Anti-Doping Analysis with Guest Editor Mario Thevis. The authors would like to thank Lance Brooker for correcting the language in the manuscript.